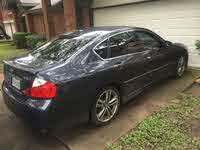 Looking for a Used M45 in your area? 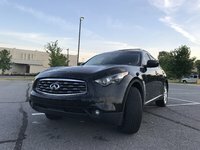 CarGurus has 84 nationwide M45 listings starting at $4,950. The 2010 M45 takes Infiniti’s M35 sports sedan and adds some numbers, namely 23 hp in the form of a V8 upgrade over the M35’s V6. Unfortunately, that upgrade also comes with an extra 100+ pounds, but with 325 hp and 326 lb-ft of torque, the M45 doesn’t suffer from motivation problems, making the jaunt to 60 in less than 6 seconds. The M45 stands as Infiniti’s top-tier midsize sedan, offering the largest dimensions - and pricetag - in that segment. The four-door sport sedan comes in RWD and AWD configurations, and both come with a five-speed automatic transmission, dropping the seven-speed that comes with the RWD M35. The 4.5-liter engine, although de-tuned slightly here, is the same used in the Infiniti Q45, the vehicle the Infiniti M-series replaced. When used in that application, the Nissan VK 4.5-liter produced 340-hp. The VK has also been used in the Super GT versions of the Nissan 350Z and GT-R, where it has been coaxed into producing 490 horses. Here, you can expect to get 16/21 mpg out of the 4.5 in RWD configuration, dropping down to 14/20 with AWD, both with the required premium poison. While some testers have complained about a reluctance to downshift with the five-speed, the manual-shift feature has been praised as one of the best available. Standards like leather upholstery, heated and cooled power front bucket seats, remote keyless access, entry, and start, and a driver memory system are expected here, and the M45 doesn’t disappoint. Don’t forget a power sunroof, a satellite-ready 6-CD and MP3 player with Bluetooth, rain-sensing wipers, and automatic, steering-linked adaptive xenon headlights. If you’re still feeling under-equipped, there’s a Technology Package that adds a navigation system with voice recognition, a rearview camera, and a Bose sound system with iPod adaptor, although that’s a single-CD unit rather than the standard 6-CD offering. From there an Advanced Technology Package will further add adaptive cruise control, a lane-departure warning and prevention system, and an upgraded Bose stereo, still with a single-CD player. A premium package includes all of the above plus a DVD entertainment system, heated and reclining rear seats with climate and radio controls, and a power rear sunshade, although the Premium Package is unavailable with the RWD-only Sport Package, which includes unique trim, active rear steering, a sport suspension, and 19-inch alloys. Even with the Sport Package, the M45 never manages to live up to its closest contenders, namely midsize offerings of many ilk from BMW and Mercedes, falling slightly short in handling and even ride comfort. There’s little to complain about, but for the enthusiast, the European examples simply provide a more competent entry. 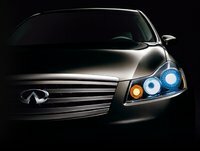 What's your take on the 2010 INFINITI M45? 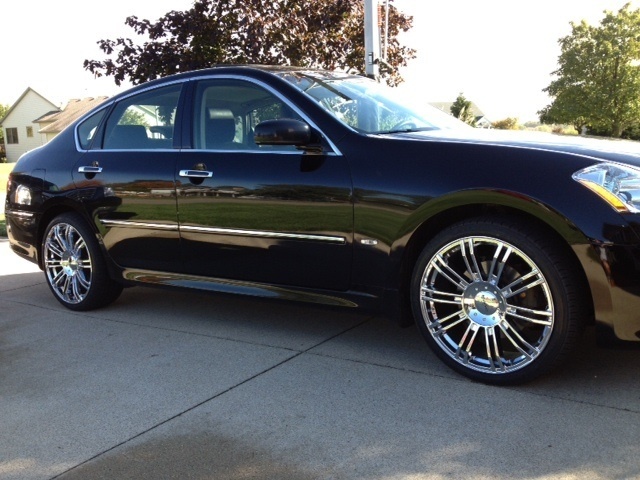 Have you driven a 2010 INFINITI M45?